Book Condition: Paperback with bend to book from improper storage. Text clean and binding tight. Comment: Paperback with bend to book from improper storage. Text clean and binding tight. Yvonne S. Freeman is the coauthor or coeditor (with David E. Freeman) of 11 Heinemann books, including: - ESL Teaching: Revised Edition (2016) - Essential Linguistics, 2d ed. (2014) - Between Worlds: Access to Second Language Acquisition, 3d ed. (2011) - La ensenanza de la lectura y la escritura en espanol y en ingles en clases biling^D"ues y de doble inmersion, segunda edicion revisada ed. (2009) - Academic Language for English Language Learners and Struggling Readers (2009) - Diverse Learners in the Mainstream Classroom (2008) - Teaching Reading and Writing in Spanish and English in Bilingual and Dual Language Classrooms, 2d ed. (2006) - Dual Language Essentials for Teachers and Administrators (2005) - Closing the Achievement Gap (2002) - Teaching Reading in Multilingual Classrooms (2000) - ESL/EFL Teaching (1998) Yvonne is a professor emerita at the University of Texas Rio Grande Valley. 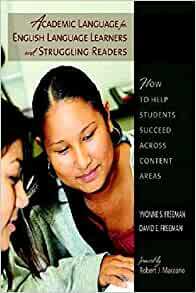 Yvonne and David Freeman are Heinemann Professional Development Providers. David E. Freeman is the coauthor or coeditor (with Yvonne S. Freeman) of 11 Heinemann books, including: - ESL Teaching, Revised Edition (2016) - Essential Linguistics, 2d ed. (2014) - Between Worlds: Access to Second Language Acquisition, 3d ed. (2011) - La ensenanza de la lectura y la escritura en espanol y en ingles en clases biling^D"ues y de doble inmersion, segunda edicion revisada ed. (2009) - Academic Language for English Language Learners and Struggling Readers (2009) - Diverse Learners in the Mainstream Classroom (2008) - Teaching Reading and Writing in Spanish and English in Bilingual and Dual Language Classrooms, 2d ed. (2006) - Dual Language Essentials for Teachers and Administrators (2005) - Closing the Achievement Gap (2002) - Teaching Reading in Multilingual Classrooms (2000) - ESL/EFL Teaching (1998) David is a professor emeritus at the University of Texas Rio Grande Valley. David and Yvonne Freeman are Heinemann Professional Development Providers. 4.0 out of 5 starsCalling all teachers! If you are a teacher, or are planning on being a teacher, this is an important read. Even if you are in a district with few English Language Learners, it is important to be able to understand their learning process if you have ELL or LEP students in your class. I find the tips in this book helpful also as a Spanish teacher, teaching students Spanish as their second language in the classroom. It explains research on second language acquisition to support every statement that is made, and breaks many misconceptions about English Language Learners, such as the differences between conversational and academic language proficiency and the reason why many students are inappropriately placed in early exit programs or Special Education programs. Great book for ELL learning. Every teacher who has an ESOL student(s) in his/her class should have this book! 5.0 out of 5 starsbut I love it. Had to by for class, but I love it. Solid presentation of theory with relevant application to practice across disciplines. Good overall reference for teachers of ELL students in sheltered an mainstream classrooms. The author speaks for herself & has wide credibility in the field of ELD & the classroom practioner! I recently wrote about how I was so excited to see that Yvonne and David Freeman had a new book out that I could not wait to get from Amazon. I already received and read Academic Language for English Language Learners and Struggling Readers: How to Help Students Succeed Across Content Areas. Following suit with their other books it was very user friendly and had a lot of examples that are easy to picture. While I initially hesitated wondering if it would not have enough new information to be worth it to buy, I was pleased to realize that there was plenty to learn from the book. There was a lot of information that was not completely new, but it is always good to hear certain information one more time or to see it with a new application example. As I was reading I saw a lot of ideas that I will implement for my after winter break lesson plans. I started out the year wanting to do themed units organized around big questions as they suggest; however, little by little over the first and second quarters I shifted away from that. It was hard to see how to pull it all together because of unexpected scheduling expectations, having reading groups instead of whole group reading instruction, and realizing that some of the math that initially tied into the unit assumed that the students would have already known certain math skills in order to be able to understand the new concept. Although I had always heard from many sources about the benefits of integrated curriculum and themed units, it just was not coming together very well. *Remember that it is ideal to teach language and content together, BUT the reading materials must be at an appropriate level (91). It is always a good reminder to consider that the vehicles to content areas is accessible and to differentiate reading materials. I did this with a Civil Rights Unit that I used the first year I taught. I am going to take pieces of that unit for my Social Justice unit, so it was good to see this reaffirmation that I do need to carefully select materials at different reading levels. This is where it comes in that I can do different reading groups while all students can read about the same theme. I can have both (small group guided reading with materials at appropriate levels and themed instruction). I will still have some times when some groups are doing literature circles unrelated to the overall theme or use resources from our guided reading curriculum (Rigby), but I will also integrate in aspects of the unit theme. *In college I worked in the writing center, and much of their suggestions on writing in this book so closely aligned to the pedagogy of the writing center, such as looking at writing for ideas first and making sure that all ideas in paragraphs relate back to the topic of the paragraph. Then once the ideas are developed, writers need to receive scaffolding in conventions one or two at a time (chapter 5). *A good cycle for scaffolding language development as being: introduction to the topic, vocabulary development, group presentations, journal writing, and report writing (54). I can picture this really benefiting my students and running smoothly. Learning more ways to scaffold working toward final projects is always so beneficial. *They included a genre chart with types, features, and examples. I typically think of the features from more of a global perspective but all of their features were directly tied to language learning and reminded me of our state ELL forms and functions. I will be able to look at the type of writing the students will be creating, see the features they listed and then refer to the state standards for further planing (94-95). Along the same lines they also suggest a procedure, read and retell, for genre studies (98-99). *On the paragraph level they gave a lot of suggestion on different ways students can create smooth, focused paragraphs with all sentences linking back to the main topic. This way students can learn that there is more than one way to achieve the goal of a focused paper with proper scaffolding to start experimenting (107-111). *They gave an example of doing an activity to analyze paragraph structure from an integrated physics and chemistry book. I am going to do a similar activity using an excerpt from my students' science book. My school traditionally does not use textbooks. This year as the students are getting older we did decide to adopt a science book. I really like the text we chose (I post about why later) and the students seem to like it as well, but they do still need a lot more support in accessing the textbook information since it is such an unknown style to them. This will be a great addition to my curriculum (110). *They talked about developing math vocabulary through daily math journals (130). I can see how this would be easy to integrate with great results. 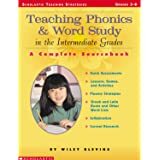 *They mention, "Any effective approach to helping ELLs and struggling readers develop academic language proficiency must include teaching academic language at the text, paragraph, sentence, and word levels" (143). I think sometimes I forget to make sure that I am planing at all levels and that I typically focus more on the word level. Now I will be more mindful of a more balanced support system (and the book gave a lot of ideas to do this). They gave examples of unit themes with big questions, content objectives, and language objectives at different levels (150-151). I always love to see specific examples to imagine the theory in practice. *I have often used Francisco Jiménez books in my classroom, and a large portion of the last chapter shows how one teacher did a unit of The Circuit. This part talked about how the teacher has taught the unit in different contexts. This year when I teach my social justice unit I will take ideas from two different contexts that I have taught in before. *They have a section on Identity Connections with Favorite Quotes (186-187). This seemed to me like a more comprehensive literature circle role for "passage picker"/"literary luminary". *When I was reading about how much Rain of Gold impacted Francisco, it could have been written about one of my colleagues who was also weary to read such a big book but ended up finding his passion for reading because of it (162-163). *I liked that they made specific references to different types of language learners that I was very familiar with from working in ESL education but have not noticed them mentioned specifically with an official title: long-term English learners (LTEL) and standard English learners (SEL). Overall, I am so glad that I got the book. It was perfect timing and pointed me in the right direction to make sure that I consider all the different levels of academic language support I need to provide in the classroom. I will be keeping it on my desk at school for quick referencing as I plan.